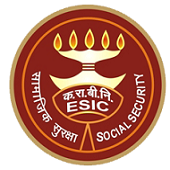 Employee state Insurance Corporation (ESIC), Ahmedabad has published Advertisement for below mentioned Posts 2017. Other details like age limit, educational qualification, selection process, application fee and how to apply are given below. Application Fee: Application Form Fee by way of Demand Draft of Rs. 250/- (Rupees Two Hundred and Fifty only) in favour of ESI Fund A/c no. 1 payable at Ahmedabad except SC/ST and all Women candidates. No TA/DA will be paid to attend the interview.